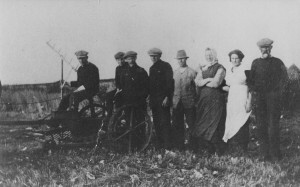 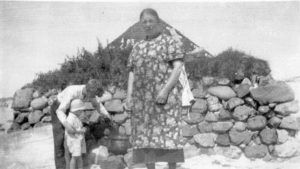 Black & white photograph of Effie MacInnes (“Granny MacDougall”) and Colin Cameron with child Robert Doncaster, at The Green, Kilmoluaig (“mother – Mor Kennedy”), with a cooking pot outside a barn. 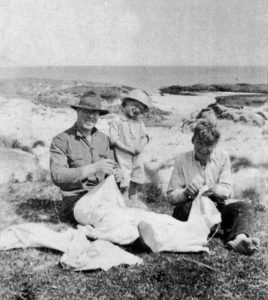 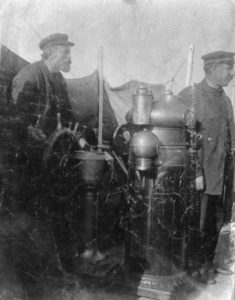 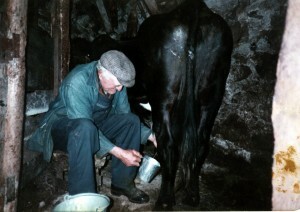 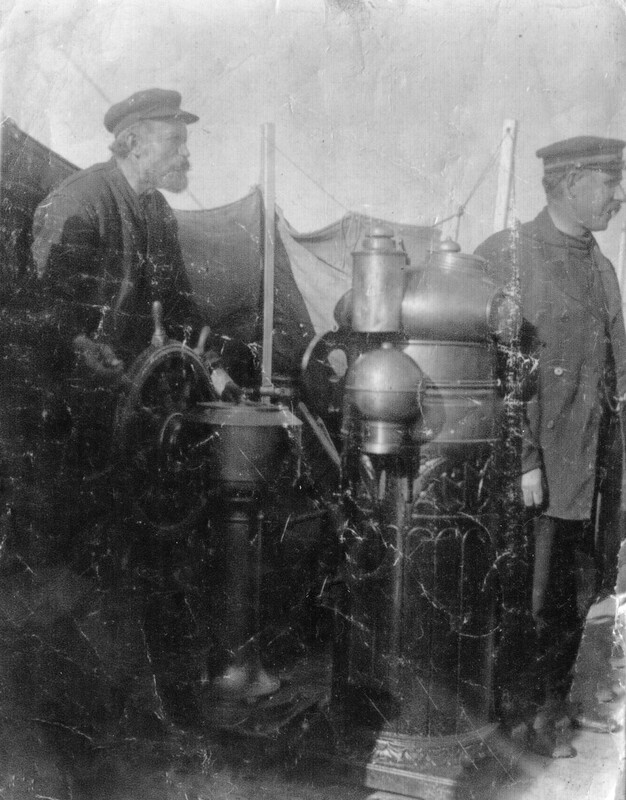 Black & white photograph of L-R: Donald Kennedy, Robert Doncaster and Colin MacDougall Cameron sitting on the ground at The Green, Kilmoluaig, sewing. 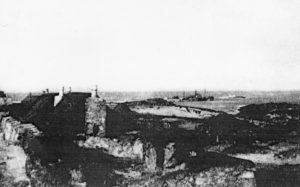 Black & white photograph of black-roofed houses at The Green, Kilmoluaig, with the wreck of the SS Ingrid on the rocks in the background. 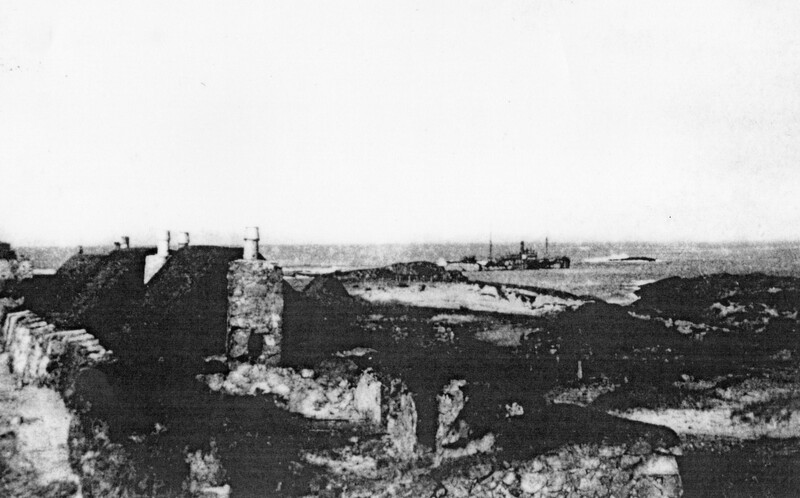 SS Ingrid was a Norwegian steamship, which struck rocks off The Green in January 1942 enroute from the Tyne to Hampton Roads and Cuba. 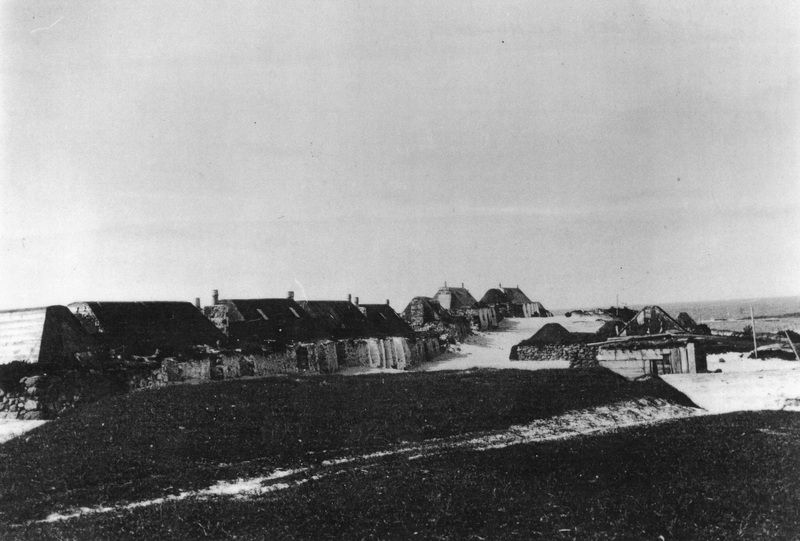 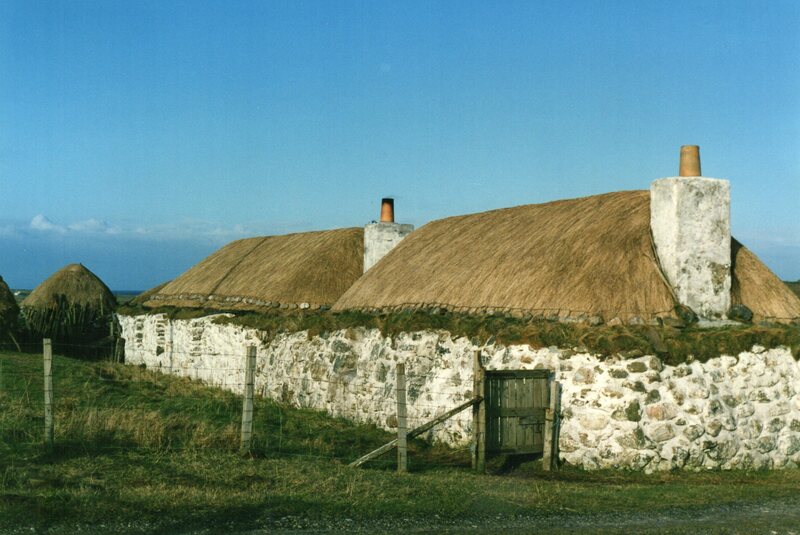 Black & white photograph of a row of black-roofed houses at The Green, Kilmoluaig.